We loved the Colltex CT-40 skins, They could be put away by rolling them on themselves and provided us with 3 years (and counting) of loyal, reliable service. We were therefore pleasantly surprised to find that Colltex had replaced them with the lighter Combin skins, which we quickly proceeded to acquire at a hefty price tag of £175 CHF, trusting Colltex to had made improvements on their predecessors, the CT-40’s. They don’t stick to the underside of skis well. Even putting them on at home in a warm environment, they still start to let snow in on the leading edge. This in itself is tolerable, if not slightly irritating for outings where we only have to skin once, but having had the misadventure of removing them and putting them back on multiple times in bad weather, the Colltex Combin’s have seriously let us down. They need to be meticulously dried before application, this proves often nigh on impossible in ‘real-world’ conditions. 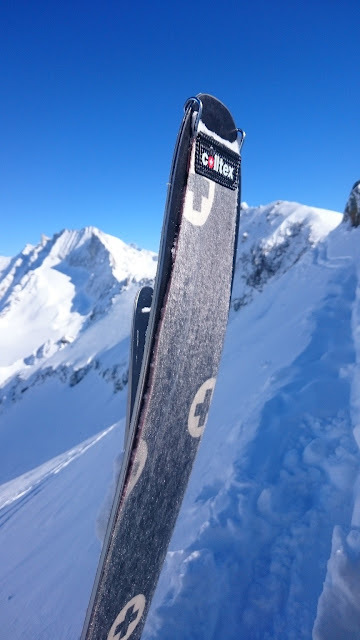 We have appreciated the Combin skins for their low weight, their efficient glide on snow, and the fact they can be folded on themselves; but find they let us down even in the best of conditions by not sticking to the undersides of our skis like they should. We are therefore unable to recommend them to anyone. To save ourselves from a rant type review, we contacted Colltex’s customer service to see if there was something we had missed. Apparently, the Colltex Combin skins are not designed for rockered skis. 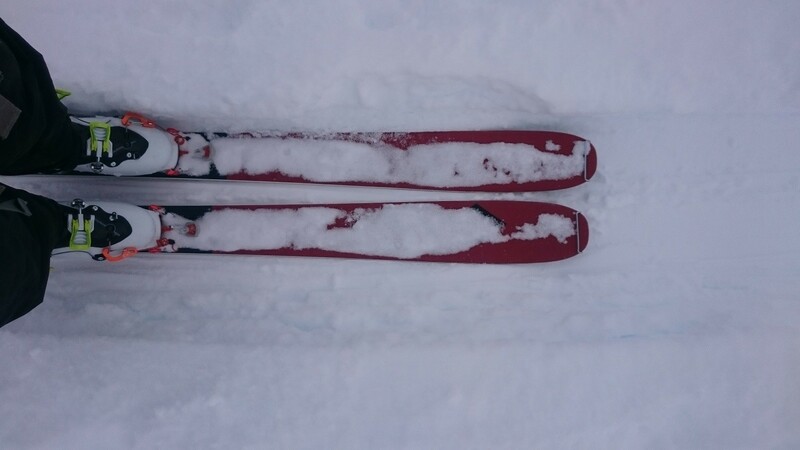 The skins need a constant pressure to efficiently stick to the undersides of skis and are thus suited for traditional non-rockered skis (which aren't particularly the norm anymore). Although this is a satisfactory position, we do find it a little odd that this isn't stated anywhere we could find and the ski shops we talked to were unaware of this issue. What we don’t like: Adhesion. Price.